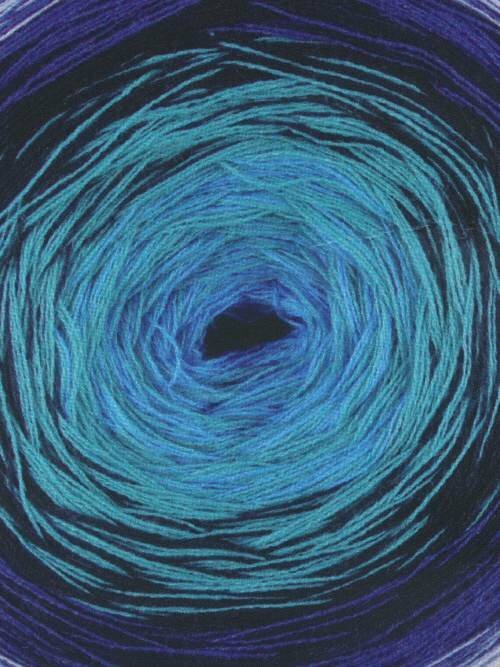 A super ball of yarn weighing 200 grams with 875 yards in a practical format for knitting and crocheting garments. 5 colours are combined to create a spectacular multicolour effect: Pastels, vibrant tones, pinks, greens, blues, oranges, browns reds and greys. Easy Start: a pair of small dice that indicate the start of the ball of yarn.